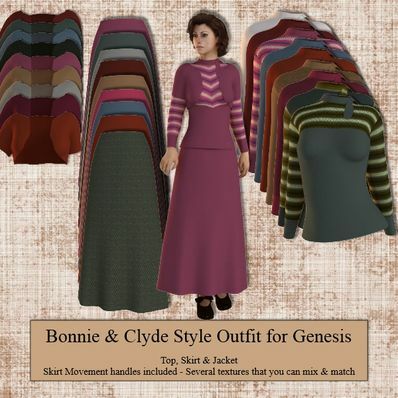 A Bonnie & Clyde Style Outfit for Genesis for use in Daz Studio 4.6. Several textures for you to mix & match. Movement handles included in the skirt. Love the textures, colors, style, just awesome! Thank you! Works Ok for me and for several other people. Can you try again please?